Natalie's Birthday came and went, you work so hard to make something just right and it's over before you know it. 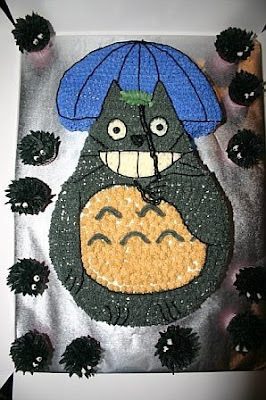 I don't know if any of you are familiar with the movie "My Neighbour Totoro" It's a great film written and directed by Hayao Miyazaki, my kids, myself and my husband love his films. That's what Natalie's birthday was based off of this year. 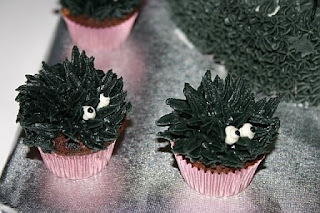 She insisted on having a Totoro cake with soot sprite cupcakes. Some of you may know that my sister-in-law is my cake decorator. I sent her a ton of pictures off the internet and told her that was the cake I wanted. Did she deliver! Here are some picture's of the final result.